Is toy storage problem your big concern? As parents know, toys are children’s favorite buddies, and your kids always want more and more toys. Thus, for family that has kids, toy storage nz & toy box is a good place to put into your kids’ increasing number of toys, trucks, trains, dolls, and puzzles. With cheap prices and great quality, please feel free to choose the right toy organiser nz at BestDeals to find a perfect toy storage solution. Our wide selection of kids’ toy storages are not only functional but also fun. 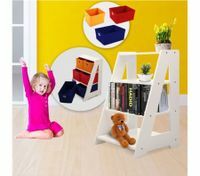 Unlike other ordinary storage boxes, they are designed to store different kinds of kids’ toys with drawers or bins & baskets. 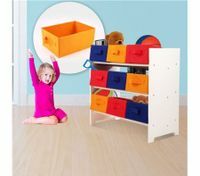 Floors will be easy to keep clear and neat thanks to the stackable toy drawers that stow away puzzles, cards and Legos. Also, our children’s toys can be kept clean, new and out of sight in a toy organiser that prevent dust. It is considerate that the height of the organisers is reachable for most children. In order to make reasonable use of our limited space, the idea of toy storage brings us a good solution. Fashionable toy storage can bring people extra exciting and life passion. We provide you a wide range of toy storages nz for your better shopping experience. From sizes to materials, from designs to colors, you can choose any one as you like and according to your needs. Find the perfect toy storage solution for your home when you’re shopping online at BestDeals. Shop now and bring a big surprise home!